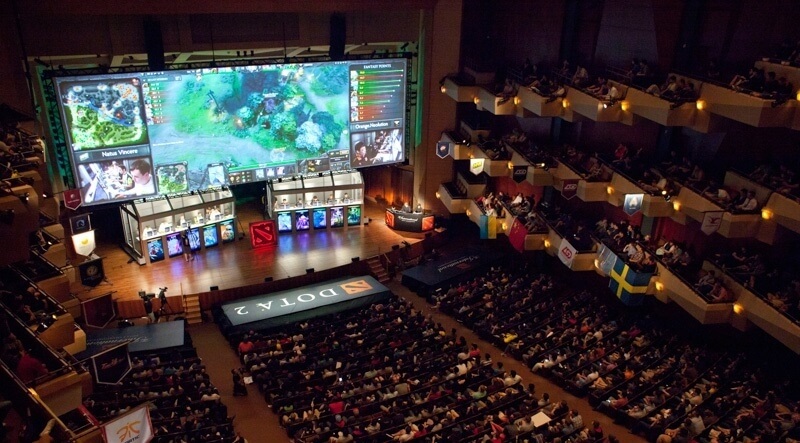 Valve recently revealed that tickets for this year’s The International Dota 2 Championships will go on sale later this week. Here’s everything you need to know about the year’s largest eSports event. The annual competition will once again take place at Seattle’s KeyArena, running from August 8 through August 13. This year, potential attendees can choose between two different ticket options (or one of each if you don't want to miss any of the action). A $75 mid-week ticket will grant admission to the first four days of the event which includes the opening ceremony and the All-Star match. A ticket to the finals, which will set buyers back $100, grants access to the last two days of the event. Valve notes that both ticket options can be purchased in a single order. Those in attendance will have the opportunity to score some unique in-game items. At First Blood in each individual game, 500 “Attendee Treasures” will drop, each containing visually-unique versions of this year’s Secret Shop Immortals. To be eligible for the drop, you’ll need to have a badge linked to a Steam account and be inside the arena when First Blood occurs. Fans that only spring for the mid-week ticket can watch the final two days of the event in an outdoor viewing area free of charge. Last year’s event generated a prize pool of more than $18 million, breaking the previous year’s record as the largest competitive gaming prize pool for a single tournament. Team Evil Geniuses from the US finished in first place, taking home over $6.6 million in prize money. Tickets go on sale April 7 at 10:00 am.